Home > Higher Ed > Spring 19 features (Lightning) for Higher Education which would make you do more, prevent problems and generate more insights. How to leverage this: This would help you to print the details of a student record for a quick view. Delight your students and prospects by scheduling appointments with the right person at the right time and place. 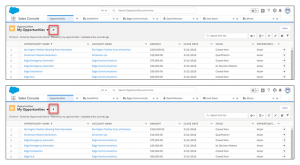 Use Lightning Scheduler to quickly set up appointments within standard Salesforce workflows, such as leads and referrals, opportunities, and accounts. And with greater visibility into appointments, you can assign resources more efficiently and better address customer needs. 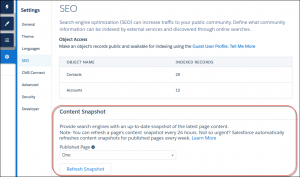 Why: Here are some of the things you can do with Lightning Scheduler. 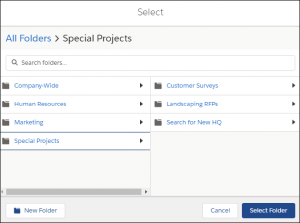 Create records that represent your employees, and add details about their skills, locations, and availability. Define office locations and operating hours. Create appointment topics, such as campus visits, event locations. Search for employees with the right skills for an appointment, including certifications and areas of expertise. Schedule customer appointments, and add details about required attendees. Why this is important: For institutions looking for an appointment management system, this could be an option but this has an add on cost. Why this is important: For institutions sending mass emails to prospective students, you can now organize your email templates with admissions, marketing etc. Closing tasks isn’t a burdensome task anymore. Instead of scrolling through the Status dropdown list, sales reps can mark tasks complete with one click. Why this is important: This would help your admission folks to use tasks more effectively. 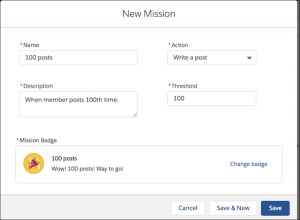 This change applies to Lightning Experience and is included with Pardot Advanced. Why this is important: If you are a new salesforce user, you would send 5000 emails per day and for current customers, it is only applicable for custom code only. If your students choose Email Opt Out or the Don’t Market email privacy setting, your institution should send them non-commercial emails only, such as product shipping updates and service plan changes. Previously, Salesforce didn’t account for these settings and didn’t send any emails to these students. You can prevent admission folks from sending email to students with these privacy settings by removing their Send Non-Commercial Email permission. With the new flow builder coming up, the old cloud flow designer will be retired since it is built in Flash. So stay on top with the new cloud flow builder which is faster, much simpler to use. These are things which you need to keep track on flow builder. If you are looking to build new flows, check the app exchange for pre built flow templates . simple components like get records replacing fast lookup vs single record which will simplify your job. only reason to go to flow designer is to enable rich text editor which will be built later. use record collection variable with sobject variable. Why this is important: For institutions handling privacy emails, instead of now handling the bounced emails to a separate mailbox, the sender will be notified on this and he can talk to the contact or lead and fix the email saving time. Since most of the institutions use Gmail, there is now a new Chrome extension which you should use for integrating wiht Gmail called Salesforce. Why this is important: If you using Gmail for your emails, admission reps can now easily access the matching Salesforce data while viewing or creating an event in a Calendar view. No more double-clicking the event to drill into the details to see Salesforce data. Previously, admission reps could log emails from Microsoft® Outlook or Gmail to contacts, leads, and personal accounts in Salesforce that matched an address in the To or CC fields in the email. Because an email can include important information, reps can now log messages to any people record, ensuring that pertinent information is recorded in Salesforce. Sales reps can search for other people using global search in the Gmail integration pane. Emails logged to other people records are included in the record’s activity timeline. If you are using lightning for outlook and Gmail, you can now allow your users to send emails using salesforce email templates easily. The user can select the template and send the email from your favorite device. Why this is important: For institutions who use pardot, this is the most important reason on why you should sync campaigns from Salesforce to Pardot. Control the messaging between your agents using Lightning Experience and your customers to ensure that the content is as amazing as your company. Require that agents send email drafts to designated approvers when they’re communicating with customers. Previously, email draft approval for case emails was available only in Salesforce Classic. How: Enable email drafts in Setup on the Support Settings page. Then configure a workflow process on the email message to define approval and rejection actions. Why this is important: This would help marketing teams to verify branding on customer emails before allowing the admissions team to send emails to students. How this helps: This would be a paid feature which you should check with your account rep on it. Why you should use this: This would help you to drive engagement with your students and alumni and also share knowledge. How this helps: This would help you to create topic experts which would be helpful for self-service and engagement. Why this is important: This would help you to drive more traffic to your student communities. Why this is important: This is a feature which should be used right away. You can view your audience engagement using google analytics. Why this is important: This would allow you to have your student community members to log in and use the community if there is a challenge with email issues. Why this is important: With this feature, you can create custom error messages with multilanguage messages using custom labels. This would help in creating international messages for your international students. 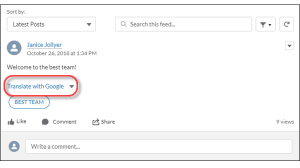 Why this is important: You can now preview your community on how anonymous users can see your community. Why you should use this feature: For your international students , this feature can help them to colloborate using the language of their choice increasing engagement and adoption. Why this is important: For insittuions who are using a lot of forms, you can easily build them internally and have processes to assign the forms to users. Why this is important: This is one feature which admins would love and help you save time on impact analysis. This does not do reports and dashboards yet but will be covered in future. Make sure that users see the Home page that’s most relevant to them by assigning default Home pages by app. The app default Home page overrides the org default Home page for users in the app. And if you create app-and-profile assignments, those Home pages assignments override all others. Why this is important: This should help you to build separate home pages for admissions, marketing and advisor teams on your org. How this helps: Developers now should use Visual Studio Code for development going forward. 1. You should train the users on pinned list views which would help your admissions and marketing team get to the right list immediatley. 2. If you are a gmail or outlook user, leverage your email templates to send emails to students on your favorite email tool. 3. 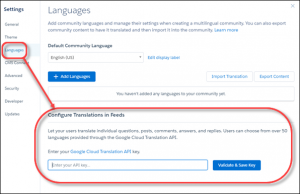 Leverage lanaguage translation feature in your student communities to increase adoption for international students.